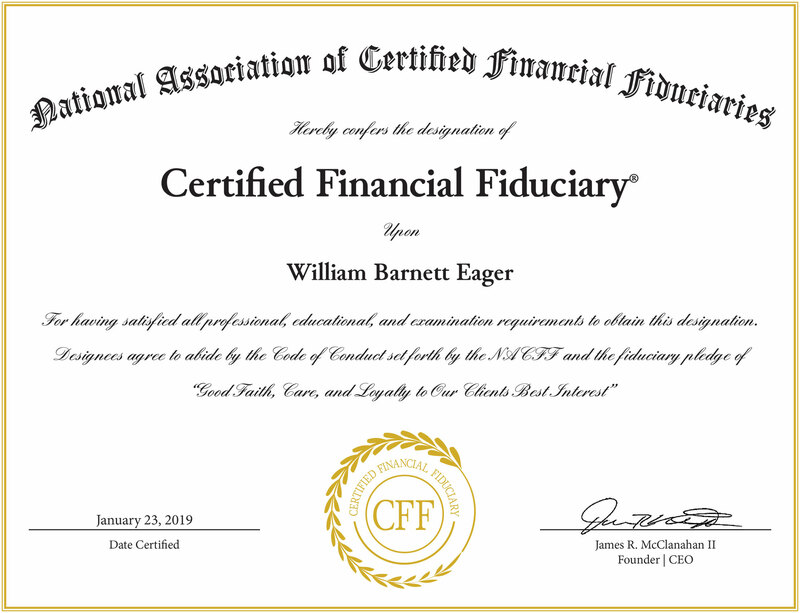 William Eager, Founder of Eager Health Life & Annuities, LLC, has earned the Certified Financial Fiduciary® (CFF) designation. He joins a growing group of financial professionals who have earned the Certified Financial Fiduciary® designation and can immediately and clearly demonstrate how they practice a fundamental obligation to always put their clients best interest first. 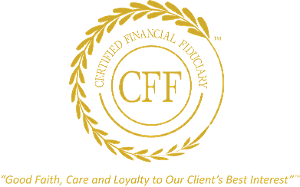 qualified financial professionals as a Certified Financial Fiduciary® (CFF). Completed and submitted the signed CFF Application for Certification. www.nationalcffassociation.org or email info@nationalcffassociation.org .